Flexibility vs. Mobility: Does it Matter? Over the years, my thoughts on range of motion has changed drastically. Back when I worked as an Athletic Trainer within college athletics, I would stretch athletes on a daily basis. And, the next day they would come back in wanting to be stretched again because they felt tight. This is when I unfortunately thought in terms of flexibility. Oftentimes, when a joint doesn’t move through its full range of motion, or a person feels “tight,” we usually think that they have a specific muscle that needs to be stretched. Unfortunately, flexibility is only one piece of the puzzle and this approach alone will lead to countless hours spent “stretching,” when other means could provide better results. To clarify, flexibility is the length of a specific muscle, while mobility is the motion at a joint or a series of joints. Mobility looks at the joint as a whole and the sum of it’s processes. This may include flexibility, proximal stability, and nervous system control. I’ve actually seen people with great flexibility, but poor mobility because they lacked stability more so than had shortened muscles. Oftentimes, the brain will limit a joint’s range of motion causing it to appear “tight” because it perceives a threat or there’s a problem within the system. The solution to a flexibility and muscle length issue is to stretch the restricted muscle back to it’s normal resting length. Static stretching and passive range of motion by a practitioner will best combat this problem. While, improving mobility requires a more movement-specific approach, taking into consideration joint range of motion, stability, and above all, the brain. Next time you feel tight or lack range of motion at a joint, ask yourself if it is truly because of a shortened muscle. Or, is the tightness occurring because something else in the system is not functioning optimally. 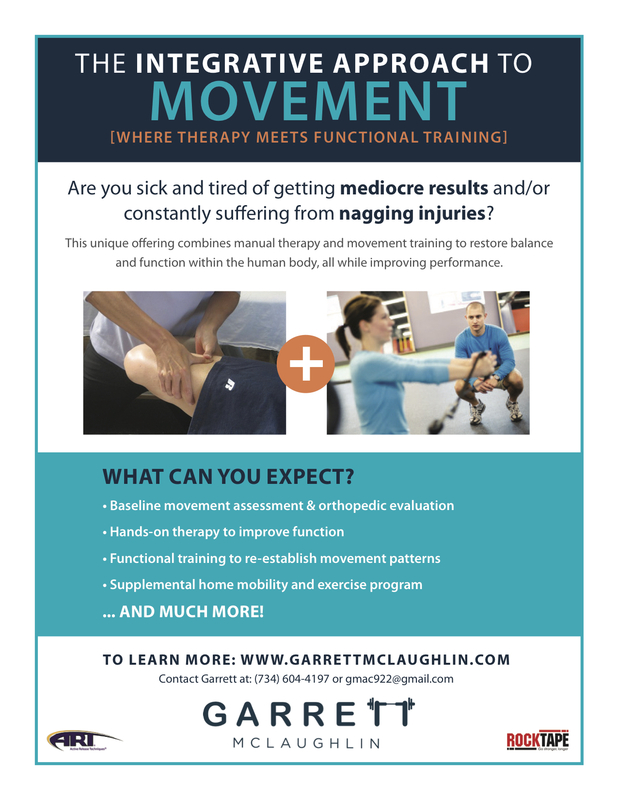 For more information on why you feel “tight” or have restricted range of motion, contact Garrett for a movement screening and evaluation to shed light on your situation.